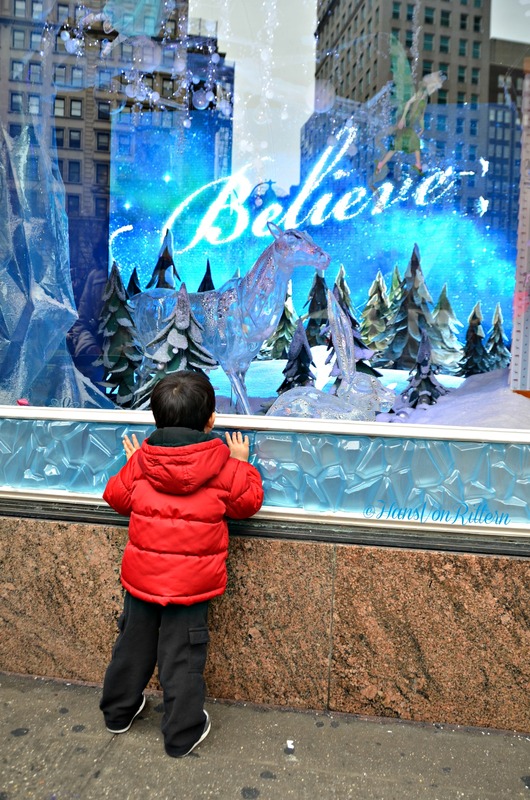 Photo of the day: BELIEVE IN THE MAGIC OF CHRISTMAS – Believe in flying reindeer, believe in wishes coming true, believe that a sleigh can fly, believe that there is a wondrous place at the North Pole (not a factory in China), believe that Santa can deliver toys to all the boys and girls in one magical night, believe that he knows if you’ve been good or bad, believe that all things are possible, believe in love, believe in miracles and above all, believe in yourself. Foto des Tages: GLAUBEN SIE AN DIE MAGIE VON WEIHNACHTEN – Glauben an fliegende Renntiere, glauben an sich erfüllende Wünsche, glauben, dass ein Schlitten fliegen kann, glauben, dass es einen erstaunlichen Platz am Nordpol (nicht eine Fabrik in China) gibt, glauben, dass der Weihnachtsman Spielsachen an alle Jungen und Mädchen in einer magischer Nacht liefern kann, glauben, dass er weiß ob Sie artig oder bös gewesen sind, glauben Sie, dass alle Dinge möglich sind, glauben an der Liebe, an Wunder und vor allem glauben, an sich selbst glauben. FRÖHLICHES WEIHNACHTEN ALLE! Photo of the day: WHAT HAS 72 LEGS AND MOVES WITH PRECISION? Photo of the day: WHAT HAS 72 LEGS AND MOVES WITH PRECISION? – The New York Radio City Music Hall Rockettes ! ! The Christmas Spectacular is the single most popular show in New York at Christmastime. 5,931 seats available for each show!! Five shows a day! There are two sets each of 36 dancers in each New York show. 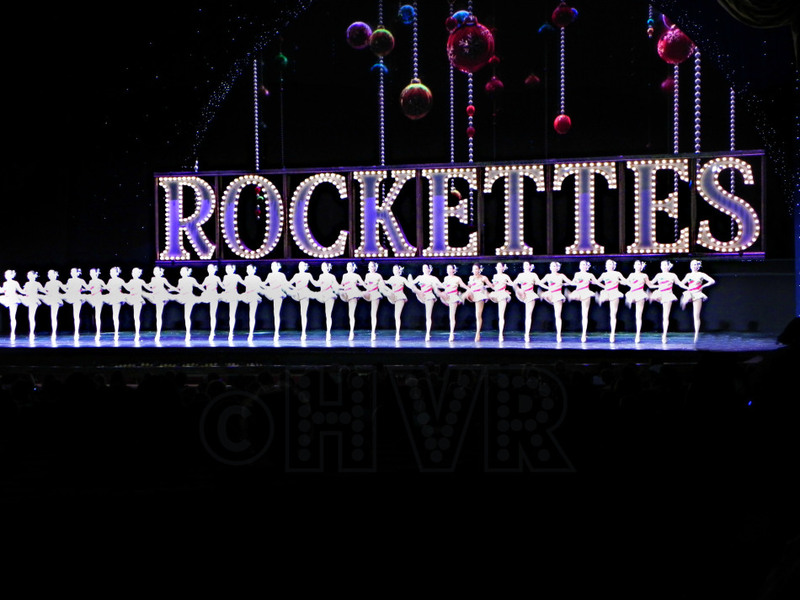 There are 80 Rockettes (4 understudies), and they split the casts into 40 and 40. On the days with five shows, one cast will do two shows, the other will do three. On six-show days they divide it by three and three. So they can get a break, during the week they give each other a day off. The most they would do is four shows in a day. A little known fact, if you are from Missouri (ironically the “show me” state) – you can be proud! The group was founded in St. Louis, Missouri by Russell Markert in 1925, originally performing as the “Missouri Rockets.” Markert had been inspired by the John Tiller Girls in the Ziegfeld Follies of 1922, and was convinced that “If I ever got a chance to get a group of American girls who would be taller and have longer legs and could do really complicated tap routines and eye-high kicks… they’d knock your socks off!” The group was brought to New York City by Samuel Roxy Rothafel to perform at his Roxy Theater and renamed the “Roxyettes.” When Rothafel left the Roxy Theatre to open Radio City Music Hall, the dance troupe followed and later became known as the Rockettes. The group performed as part of opening night at Radio City Music Hall on December 27, 1932. In 1936, the troupe won the grand prize at the “Paris Exposition de Dance”…the rest – is history ! 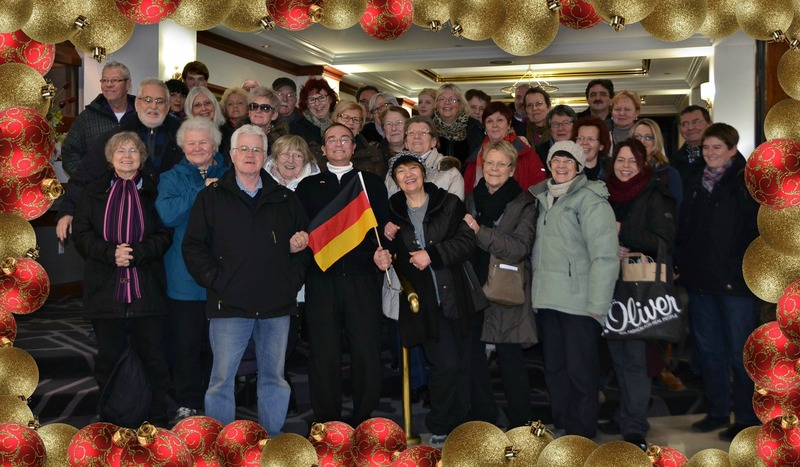 Photo of the day: “YOU GOTTA HAVE FREUNDE/FRIENDS” – Meet 40 more of my new friends from all over Germany! This was “group #2” that I took all over town for the Christmas holidaze. Isn’t funny how in every tour group there are always certain types: the ones who HAVE to sit up front in the bus “or I’ll get sick”, the permanently befuddled, your instant best friend, the camera buff, the person who constantly sez “I saw this when I was here last time”, the note taker, the spendthrift, the shopaholic and of course – the know it all. I will not reveal who is who . . . but they’re all there, and I love ’em all. SANTACON CABY: Yesterday approximately 22,000 Santas of all types and styles descended on New York for the annual Santacon celebration. There was fat Santa, tall Santa, dirty old man Santa, naughty Santa, Grinch Santa, baby Santa, zombie Santa, flasher Santa, disco Santa, leather Santa, biker Santa, gay Santa, Star Wars Santa, pimp Santa, punk Santa, hippie Santa and endless more elves and Mrs. Claus’s to match ! It is sort of a flash mob idea. The secret meeting place is only revealed on Facebook and Twitter shortly before the day of Santacon and they all meet in mass and create a huge sea of red. Imagine Christmas shopping in New York and all of a sudden the streets are filled with Santas as far as they eye can see. Unfortunately I couldn’t participate because I had to give a tour, but here is your average scene yesterday: Buses full of Santas, subways full of Santas, bars full of Santas, cabs full of Santas – ho – ho – ho ! ! !